Do you sing, dance, play an instrument or have another special talent you’d like to share? Sign up for the Talent Show at Jerabek’s Ranch Round Up! All ages and skill levels are welcome! Screenings take place in April. Download the Talent Show flyer. 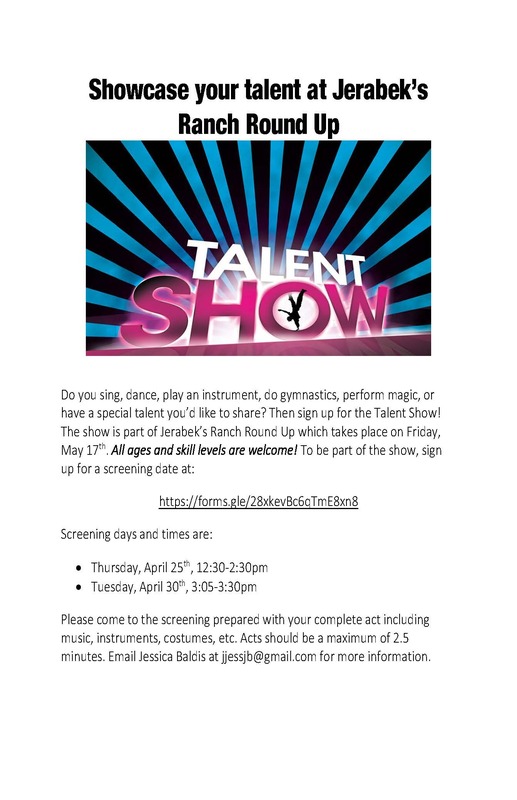 Download the Talent Show flyer.